Bottle of Wine? Check. Corkscrew? D’oh. The picnic is perfect until you discover someone’s left the corkscrew at home. Never fear. All you need is a shoe. 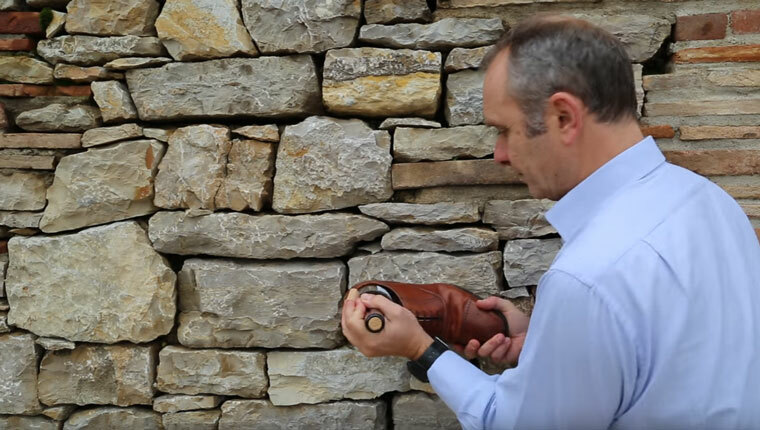 So here’s an ingenious solution for a problem we don’t get to experience too much in Australia these days: how to open a bottle of wine without a corkscrew. It’s so rustic and simple you may be tempted to take a corked bottle with you to your next event knowing full well nobody will have one, just to show off your new party trick. Most modern Australian wines are bottled with screwcaps nowadays, so forgetting the corkscrew isn’t as problematic as it may once have been. But for valuable imported wines, and any bottle of Grange, we wouldn’t suggest trying this at home.